A regional daily journalist is set to climb Africa’s highest mountain to raise money for a zoological charity. Chris Hill, who works for the Eastern Daily Press, is among a 12-strong team preparing to scale Mount Kilimanjaro in aid of the Zoological Society of East Anglia, which works in partnership with conservation bodies and breeding programmes around the world. 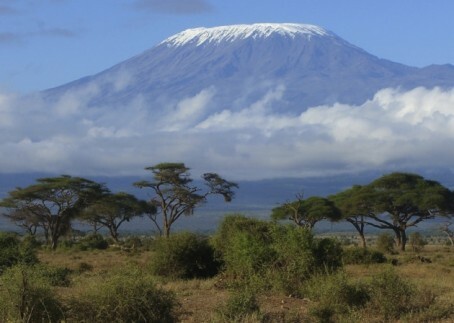 At 5,895m (19,341ft), Kilimanjaro, which is in Tanzania, is the world’s tallest free-standing mountain. The climbers have already raised more than £20,000 for the society through sponsorship. In a piece for the EDP, Chris wrote: “It’s an awe-inspiring challenge which mixes the physical rigours of high-altitude mountain-climbing with the natural splendour of Africa. “And for a determined team of charity trekkers there is a logical reason – or perhaps I should say “zoological” – for attempting to conquer the summit of Kilimanjaro, the continent’s highest peak. He added: “Of course, we’ve all trained to prepare for the physical effort, had our jabs and tablets to ward off diseases, and bought or borrowed the right equipment to keep warm in the bitter cold (and I know we’ll be grateful to the team of local porters who will be lugging our overnight gear up the mountain, along with our camping equipment and food). “But one of the biggest concerns shared by the team is about altitude sickness – the debilitating effects of reduced oxygen in the air. It cannot be predicted, it is no respecter of age or fitness, and it is the main reason why many people fail to reach the summit.